The Strippers modular design allows for any part to be replaced without the expense of investing in a completely new cutter. Below you will find each Stripper model with all the replacement parts, these parts are model dependent. If you are not sure which model Stripper you have follow the easy guide on how to identify your Stripper below. If you know which model Stripper you have, but are not sure of the correct name for the parts you need, our Stripper parts glossary should help. 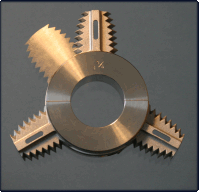 The AM5 conventional shaft Stripper covers shaft sizes 20mm to 25mm or 3/4" to 1" with 2 or 3 blades on the rotary cutter. Replacement AM5 bearings are available in our AM5 Service Pack along with replacement bolts and striker plate springs. 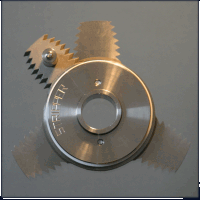 Replacement AM5 rotary cutters are available and are supplied to match your shaft size and number of blades on your propeller, please phone for a quote and to check availability. 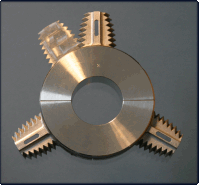 The AM10 conventional shaft Stripper covers shaft sizes 25mm to 35mm or 1" to 11/2" with 2 or 3 blades on the rotary cutter. Replacement AM10 bearings are available in our AM10 Service Pack along with replacement bolts and striker plate springs. 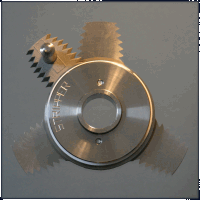 Replacement AM10 rotary cutters are available and are supplied to match your shaft size and number of blades on your propeller, please phone for a quote and to check availability. The AM15 conventional shaft Stripper covers shaft sizes 40mm to 50mm or 11/2" to 2" with 2 or 3 blades on the rotary cutter. Replacement AM15 bearings are available in our AM15 Service Pack along with replacement bolts and striker plate springs. 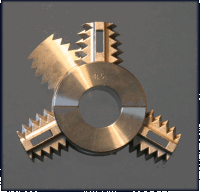 Replacement AM15 rotary cutters are available and are supplied to match your shaft size and number of blades on your propeller, please phone for a quote and to check availability. The AM20 conventional shaft Stripper covers shaft sizes 50mm to 75mm or 2" to 23/4" with 2,3 or 4 blades on the rotary cutter. Replacement AM20 bearings are available in our AM20 Service Pack along with replacement bolts and striker plate springs. 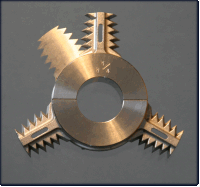 Replacement AM20 rotary cutters are available and are supplied to match your shaft size and number of blades on your propeller, please phone for a quote and to check availability. The AM30 conventional shaft Stripper covers shaft sizes 75mm to 100mm or 23/4" to 4" with 2,3 or 4 blades on the rotary cutter. Replacement AM30 bearings are available in our AM30 Service Pack along with replacement bolts and striker plate springs. 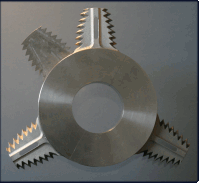 Replacement AM30 rotary cutters are available and are supplied to match your shaft size and number of blades on your propeller, please phone for a quote and to check availability. The Volvo 120 Saildrive Stripper fits the Volvo 120 Saildrive leg, which was installed on boats up to and including 2004. It has a solid circle of material making up the leg anode that requires removal of the propeller to replace it. The anode is secured in place by 2 screws that are inserts into the anode from the rear and are not visible once the propeller is fitted. The replacement Volvo 120 anode machined to accept the Stripper is available for purchase online. 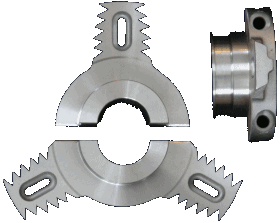 Replacement Saildrive Stripper bearings and drive bolts are available in our Saildrive Service Pack. The Volvo 150 Saildrive Stripper fits the Volvo 130, 140 and 150 Saildrive leg, which was installed on boats from 2004 onwards. It has an anode that is vertically split allowing it to be replaced without removing the propeller. The anode is secured in place by two bolts inserted through one side of the anode and can be clearly seen once installed. The replacement Volvo 150 anode machined to accept the Stripper is available for purchase online. The Yanmar Saildrive Stripper fits the Yanmar SD20, SD40 and SD50 Saildrive legs. 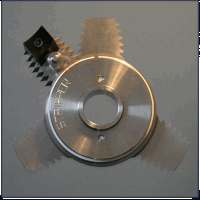 The genuine Yanmar anode is a complete circle of material requiring removal of the propeller to replace it. The anode is secured in place by 4 screws that are inserts into the anode from the rear and are not visible once the propeller is fitted. A third party version of the anode that splits allowing it to be replaced with the propeller still installed is not compatible with the Stripper. The replacement Yanmar anode machined to accept the Stripper is available for purchase online.